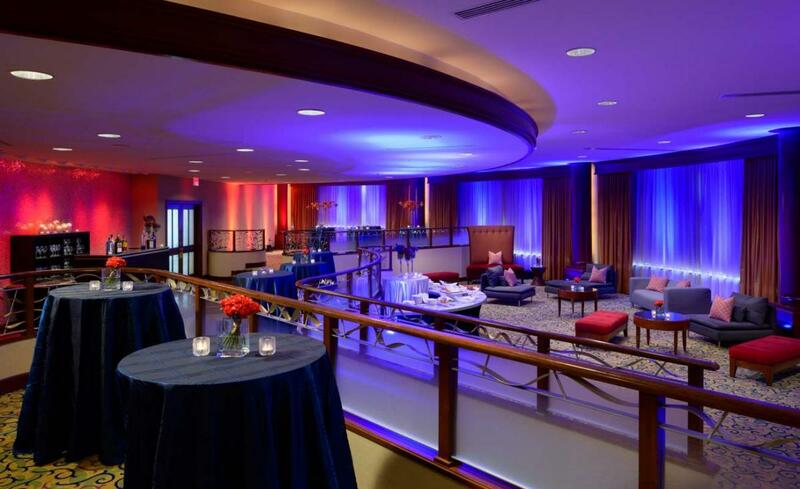 The spiral staircase and glass elevator bring guests to this venue on the 3rd Floor Mezzanine level of the lobby. Enjoy tiered seating, floor-to-ceiling windows and dramatic lighting effects. Allow the seasoned Catering and Convention Team to plan every detail for you. Choose from a variety of fresh and innovative menu choices or customize meals with the assistance of the culinary and banquet professionals. 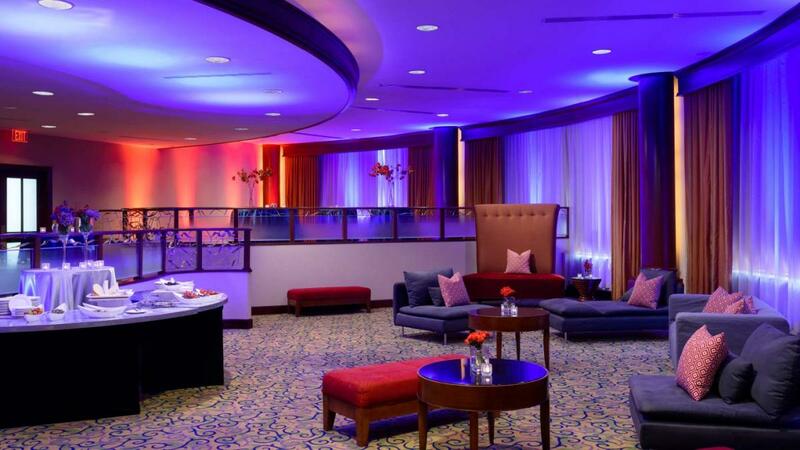 Wow your guests with a spectacular wedding at Hilton Washington Dulles Airport. Contact Deb Porter at deb.porter@dulleshilton.com at: 703.834.1980 to start planning today!